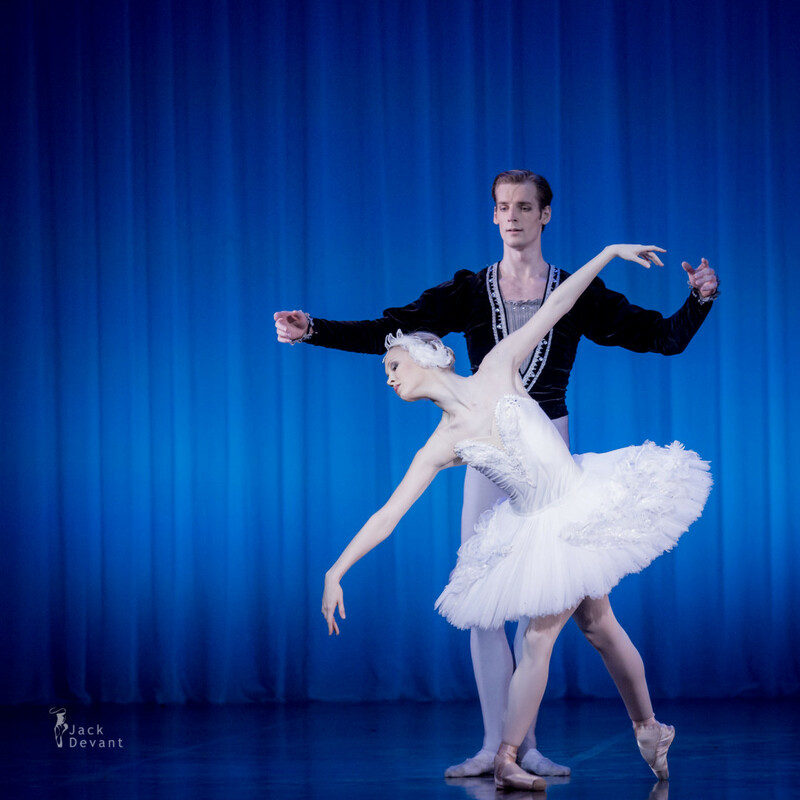 Ketlin Oja and Gabriel Davidsson in Swan Lake, Odette Adagio, Tallinn Ballet School graduation Gala. Shot on 30.5.2015 in Estonian National Opera. Ketlin Oja was born in Tartu, Estonia. She graduated 2015 from Tallinn Ballet School (teacher Tiiu Randviir) and was appointed to Estonian National Ballet same year. Gabriel Davidsson is currently soloist with Estonian National Ballet. Gabriel Davidsson began dancing at the National Ballet School in Gothenburg in 2000. After moving to the United States, he studied primarily with Jamey Leverett at the Timothy Draper Center for Dance Education in N. Y. (2001–2007). He finished his training at the Kirov Academy of Ballet in Washington D. C. with Anatoli Kucheruk (2007–2009). From 2009–2012 Davidsson was engaged at the Kansas City Ballet. Since 2012 Gabriel Davidsson is a soloist with the Estonian National Ballet. Photos by Jack Devant Ballet Photography with kind permission of the Tallinn Ballet School and National Opera of Estonia, special thanks to Tiiu Randviir and Kaja Kreitzberg.